Thanksgiving weekend was tinged with grief this year as the art world mourned the loss of painter and print-maker Eldzier Cortor. 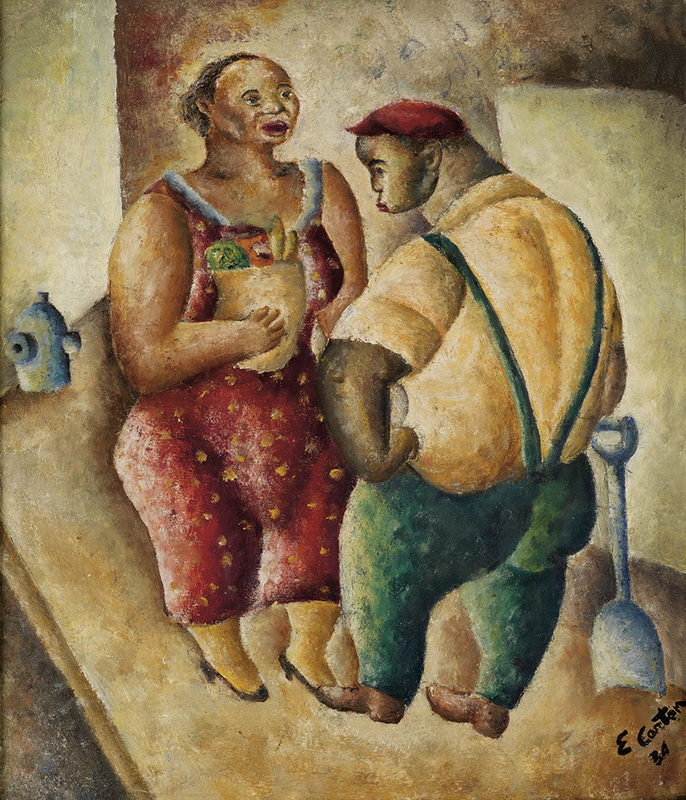 Born in Richmond, Virginia in 1916, his family moved to Chicago where Cortor would attend Englewood High School with fellow future artists Margaret Burroughs, Charles White and Charles Sebree. He went on to study drawing at the Art Institute of Chicago and became a founding member of the South Side Community Arts Center. 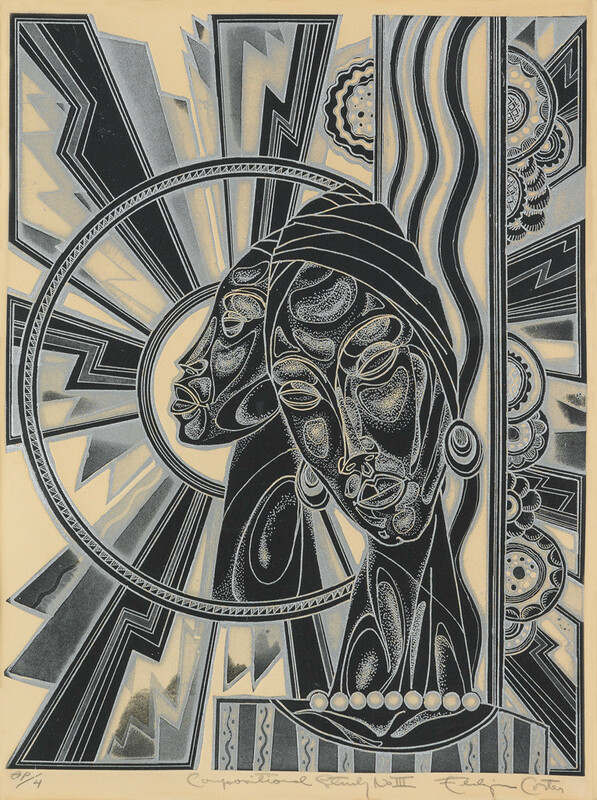 Cortor’s work on the African diaspora was informed by his travels to Sea Island, Georgia on a Julius Rosenwald Fellowship, as well as trips to Jamaica, Cuba and Haiti through a Guggenheim Fellowship. He passed away at his son’s home in Seaford, NY, at the age of 99. Eldzier Cortor, Drawing for “Lantern Gate” (Southern Gate), brush, pen and ink, 1942-43. At auction December 15, 2015. Eldzier Cortor, Composition Study III, etching and aquatint, 1974. At auction December 15, 2015. Eldzier Cortor, Classical Study, No. 36, oil on canvas, circa 1979. An interview with Cortor, conducted by the New York Times shortly before his death, gives a view into themes in Cortor’s work as well as his thoughts on the relationship between painting and viewer. The piece is now stands as a lovely memorial to an insightful artist. Eldzier Cortor, Tête-à-Tête, oil on canvas, 1934. 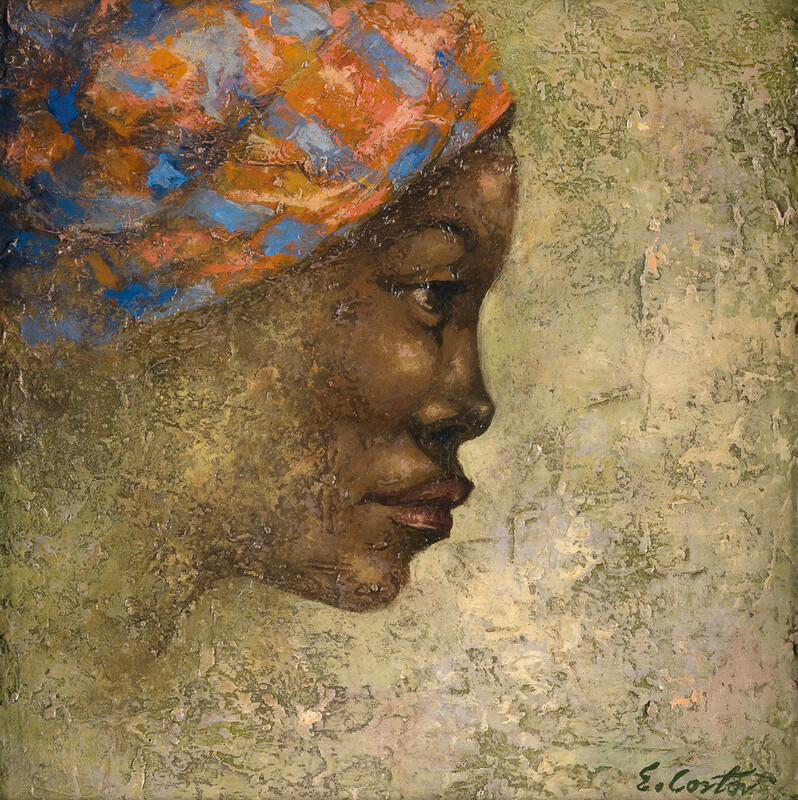 More works by Eldzier Cortor can be seen on our website. February 25, 2010 Hammons, or World’s Most Expensive Fly Swatter?